The proposed property-tax levy, which raises $275 million in Seattle over five years, would pay for long-term and short-term rent subsidies and put money toward expanding local shelters, among other things. 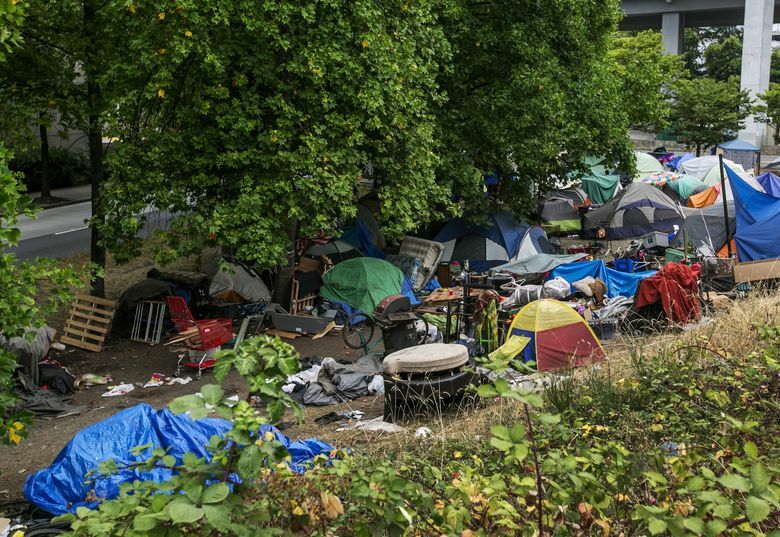 The $275 million that would be raised through a Seattle property-tax levy proposed by Mayor Ed Murray would pay for long-term and short-term rent subsidies, the expansion of local shelters and several other services for the homeless, the city announced Wednesday. Murray announced the levy proposal, which would double what the city currently spends on services for the homeless, in his State of the City address Feb. 21. An advisory group led by venture capitalist Nick Hanauer and Downtown Emergency Service Center director Daniel Malone, along with City Councilmembers Sally Bagshaw and Debora Juarez, has spent the weeks since putting together details of the proposal. On Wednesday, the city offered the first details about it how it would spend the money. Murray acknowledged the proposal could become controversial. But more funding is needed to solve the crisis of homelessness, he said. “This is a city that is not going to wait for the federal government to do something,” he said. The plan emphasizes helping people who are without shelter secure permanent housing, with $185 million of the new money dedicated to giving more people access to permanent supportive housing facilities and increasing subsidies for renters over the five-year life of the levy. Another $10 million is pledged to the city’s Housing Innovation Fund. Around $55 million would be spent to hire new outreach workers and convert overnight homeless shelters to facilities that can operate 24 hours a day. An additional $25 million would go toward expanding treatment for substance abuse and mental illness, including 5,000 new slots for people seeking help for addiction. The proposal includes provisions to create a review board that would determine which programs are working, Murray said. Hanauer brought the idea for the ballot initiative to Murray and has spent a year working on the issue. The mayor and City Council budgeted about $60 million to spend on homeless services this year, and the proposed levy would raise an additional $55 million per year. The current plan is to qualify the levy for the August ballot as a citizens initiative rather than as a city proposition by the mayor and council. The campaign would need to collect at least 20,638 valid voter signatures to do that. The measure would raise $275 million in property taxes over five years.